Did you know that many words in a vocabulary of an educated English speaker are borrowed from Greek? Hundreds of scientific, medical, and technical terms have been coined from Greek words, being either the root that creates a word or prefixes / suffixes of words used in daily language. From physics to photography, from microscope to telephone, from biology to zoology and many more - these are now part of almost all European languages. Today, for all Greek users and Greek enthusiasts we are excited to introduce Greeklish support in Gboard, a Google keyboard for your device. Gboard gives you all the things you expect from a great keyboard—GIFs, emojis, and Glide Typing—with Google Search built in. 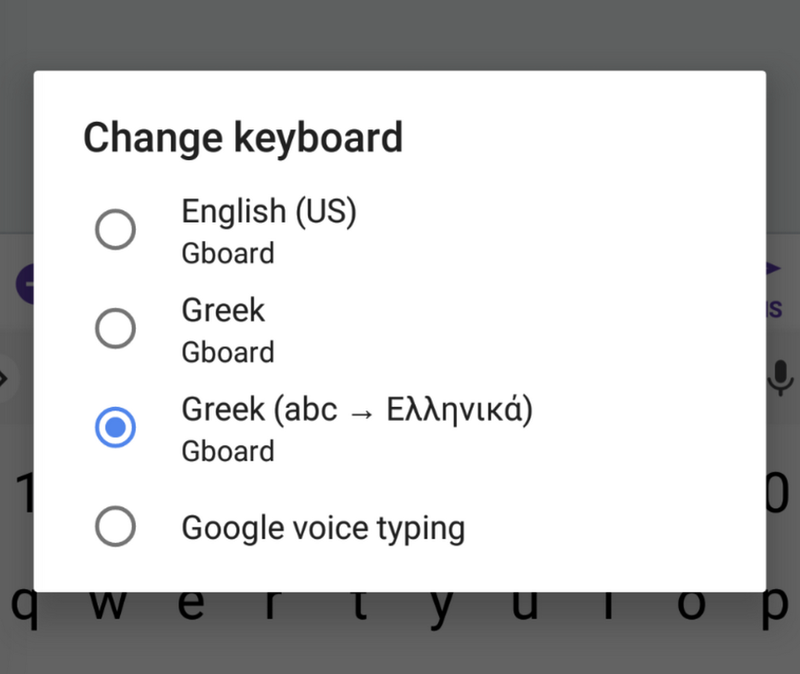 First, select the “Greek (abc -> Ελληνικά)” keyboard from the Gboard menu on your Android device. Open an app that allows you to type and then either tap or long press the icon in order to select the “Greek (abc -> Ελληνικά)” keyboard. Once the model downloads, you’ll be ready to start using the new keyboard! You can either tap or glide type. We believe that this new keyboard will help users keep on writing in the Greek script, preserving our culture and our language in the digital world. Gboard for Android regularly gets new languages and tools, as we work towards our vision of creating an intelligent mechanism for faster input, word-completions and suggestions on mobile--in any language you choose.